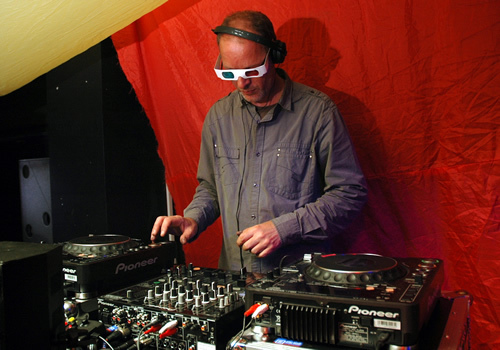 3D60 sound… will it catch on? First there was mono. A single point source of sound. Then there was stereo. You’d think this was the end game as far as sound production goes, as we’ve only got two ears, but thanks to the shape of our ears and the fact they are positioned at slightly different heights on our head we can perceive where a sound is coming from. Sound engineering made inroads into quadrophonic sound in the 70s, but such technology was damned by commercial and practical overheads. More recently, surround sound became available. First in cinemas, then in the ‘home theatre’ environment with the immensely popular 5.1 surround sound system. 5 speakers positioned around the listener to give him or her a sound scape that wasn’t just ‘from over there’, or even ‘left and right’ but from ‘in front and behind’ as well as left and right. Dolby patented a 7 speaker system and I’ve heard of 8 and 9 point systems. Is there anything out there though that can prick the ears up of the iHeadphone generation? 3D60 claims to be able to emulate all of the above, as well as up and down. 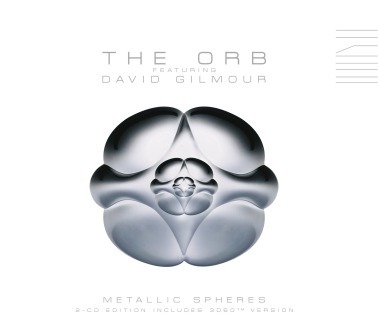 I’m not sure which I heard about first – a new album by The Orb featuring Dave Gilmore, or the new sound production technique called 3D60. I was keen to give both a go. The TradeMarkees describe it as “a new sound production process created specially to deliver an immersive, widescreen listening experience to headphones.” The deluxe CD pack of the two track album ‘Metallic Spheres” contains one disk recorded in conventional stereo, the other in 3D60. Being a fan of both The Orb and Pink Floyd, I couldn’t go too far wrong at £13.99 for the deluxe pack. Putting the music to one side for a moment, the experience itself is an ocular illusion. I’ve got a pretty decent set of headphones and as recommended, I plugged in and pressed play. The owners of said technology are not very forthcoming on their website with regards to how it’s actually done, but my guess would be along the lines of using eq and delay to mimic what happens when sound hits the human ear. My friend osymyso described it as “Ultra wide stereo” of which, I’d concur. As for musical content of the album – the potential was utterly unique – two of the greatest musical ground breakers of their time, collaborating. These heavyweight A-list talents at first glance offered an utterly contrasting style, but perhaps their commonality is where they really made sparks. They’re both trippy sound guru extraordinaires. What started out as a quick project to make one track turned into an epic, if not seminal album. The raw natural guitar of Gilmore brought a organic edge to the Patterson touch, who masterfully utilised his vast collection of keyboards, turntables, samplers, rack, banks and other such sound manipulators. Some would describe this as ‘two blokes, having a bit of a jam’, which in a sense is true, but if you could put any two blokes in a room together to make some music, you would be hard pushed to find a more interesting pairing. The first movement (there are only two tracks, split into ‘movements’) seemed like a bit of a showcase of the technology. Steel guitars swooped and wooshed around the room before a classic down tempo orb beat blends into the mix slowly filling up and thinning out with samples and noises which were layered, stretched, delayed and tweaked – this time, in 3D. The who album is a great balance of vintage Gilmore goodness and the genius textural goodness that only The Orb can deliver. There’s enough going on in there to hear new bits, every time you listen to it – I’ve played it around 4 times now and it seems to be getting more interesting. Not everyone’s cup of tea, but I’ll have two sugars in mine please.